Trend recently supplied lighting for the Brisbane office of the well known shopfitting company Unita. Trend recently supplied lighting for the Brisbane office of the well known shopfitting company Unita. 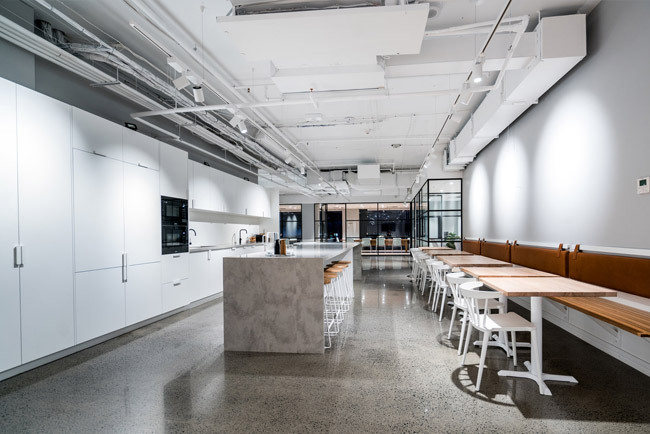 The exposed white ceiling is well complimented by the white XTA26 track fittings, whilst offices and meeting areas are illuminated with XDF26 downlights contributing to the crisp and clean design aesthetic.